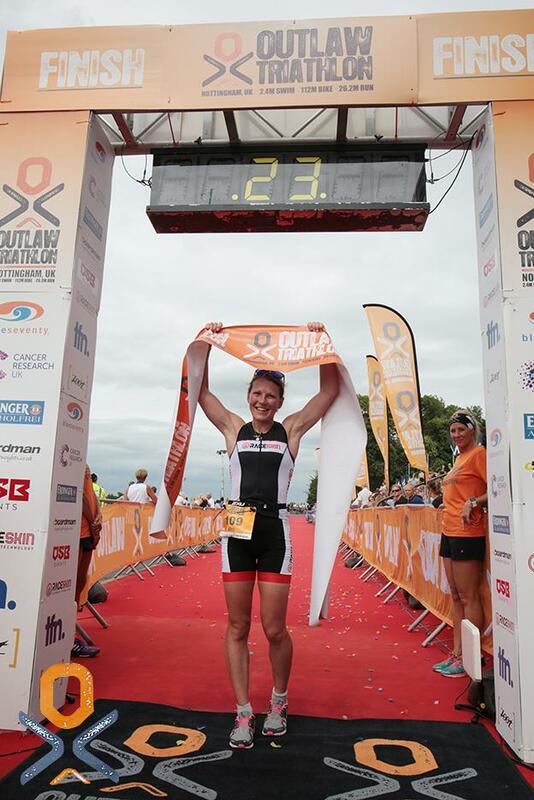 Kit Walker and Alison Wilson were crowned 2016 champions at Nottingham’s Outlaw Triathlon. Around 1100 athletes took on the 2.4mile swim, 112mile bike ride and 26.2 mile run, with Walker setting a new personal best time to win, whilst Wilson set the fastest ever time by a woman at the Outlaw. Karl Alexander was the early favourite having ridden to the front of the men’s field. 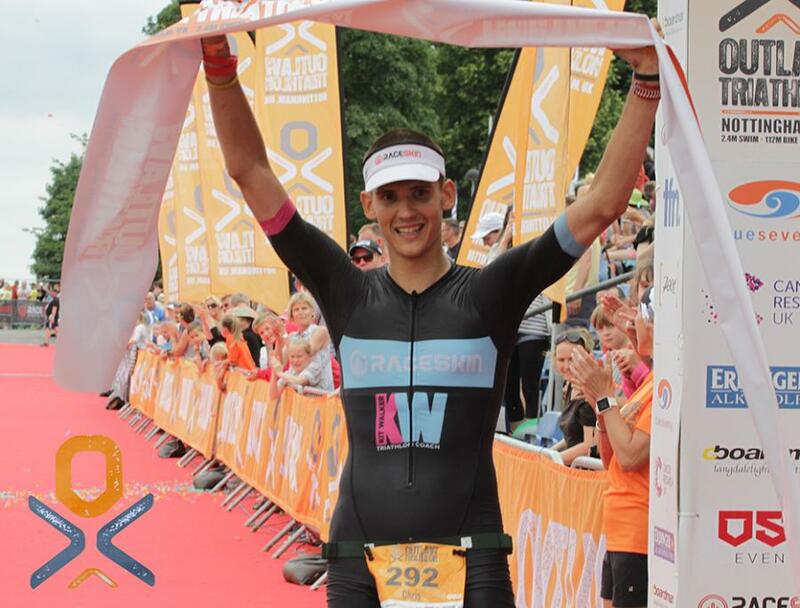 He started to build a lead before a back problem flared up that also caused him to withdraw from the Outlaw Half Holkham earlier this month. This left Kit Walker at the head of the field. The 27 year-old from Weymouth thrived as the race leader, pushing on for his best ever long-distance performance. Joe Beech from South Wales was second, commenting that it was by far his ‘best ever result’ in 9:13:56, and Dean Edwards was third after storming through on the marathon run to claim the final spot on the overall race podium. Alison Wilson, 28 from Portsmouth, had a fantastic bike leg to put herself into a lead at the start of the run. Although she’d only previously done one long-distance race, her fluid running style suggested she might be able to do something special. She delivered the best ever finishing time by a woman at the Outlaw, beating the previous best time of 9:50:58 set by Vicky Gill in 2013. Susan Fairfax from Crystal Palace was second in a time of 10:16:20 and Helen Wilson from Exeter was third, over achieving her target of ‘maybe finishing inside the top ten’. On a good day in terms of weather conditions, the winning relay team also set a new course record of 7:47:34. The team of Sam Dickinson, an elite junior triathlete, Ryan Perry, a national champion time trialist, and Stuart Spencer smashed the previous record of 8:01:10 set by GI Tri in 2011. Prior to the start today, six men had completed every Outlaw Triathlon since it was first launched in 2010. All six completed the course again today, with local man, David Manning-Ohren, 48 from Kegworth, setting his best ever time; 12:02:55. They will all be invited back to compete in their eighth Outlaw Triathlon in 2017.